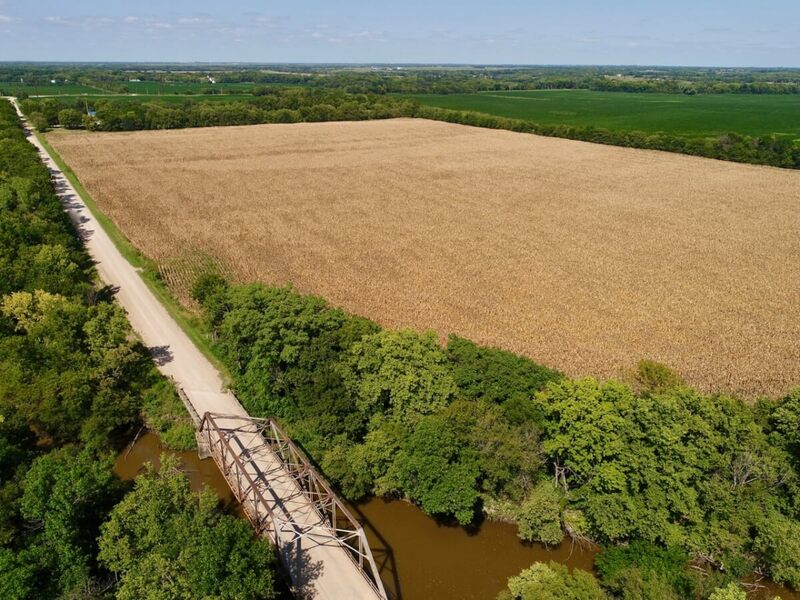 PROPERTY DESCRIPTION: 65.5+- acres of high quality and highly productive Whitewater River tillable bottom ground along the West Branch of the Whitewater River. The property is currently planted to corn. Mineral rights are intact and transfer with the property to the Buyer at closing. Great opportunity to purchase income producing agriculture land with great hunting and fishing as a bonus! This is a rare opportunity to Invest In The Best! LEGAL DESCRIPTION: The West Half of the West Half of the Northwest Quarter (W/2 W/2 NW/4) except the North 1630.15 feet and the West Half of the West Half of the Southwest Quarter (W/2 W/2 SW/4) lying North of the center line of the West Branch of the Whitewater Creek AND The East Half of the West Half of the Northwest Quarter (E/2 W/2 NW/4) except the North 1630.15 feet and the East Half of the West Half of the Southwest Quarter (E/2 W/2 SW/4) lying North of the center line of the West Branch of the Whitewater Creek, ALL in Section 6, Township 26 South, Range 4 East of the 6th P.M., Butler County, Kansas. LAND LOCATION: From HWY 254 between Towanda and Benton, North 1/2 Mile on Adams Rd to 15th St, West 1/2 Mile to Santa Fe Lake Rd, North 7/8 Mile to the property. 2017 REAL ESTATE TAXES: $1015.24. TERMS: Earnest money is $25,000 down at the conclusion of the Auction with the balance due upon Sellers submission of merchantable title and closing. Closing date shall be on or before November 18, 2018. Closing fee and title Insurance fee will be split 50/50 between Seller and Buyer. Selling subject to easements, restrictions, roadways and rights of way. This property is not selling subject to financing or inspections. Interested buyers need to view the property prior to the date of the auction and have financing available and any inspections performed prior to bidding. All pertinent information is available upon request. All announcements made the day of the auction take precedence over any other announcements or printed material.